Dennis Patterson says comments by his fellow senator, Lynn Beyak, don’t reflect the views of the Conservative caucus in the Senate. Nunavut's Conservative senator, Dennis Patterson, is responding to Sen. Lynn Beyak's latest controversial comments about Indigenous people. Beyak wrote in an open letter published earlier this month that First Nations should give up their Indigenous rights and integrate into Canadian society, by trading in their status cards for Canadian citizenship. That's despite the fact Indigenous people born in this country are already Canadian citizens. 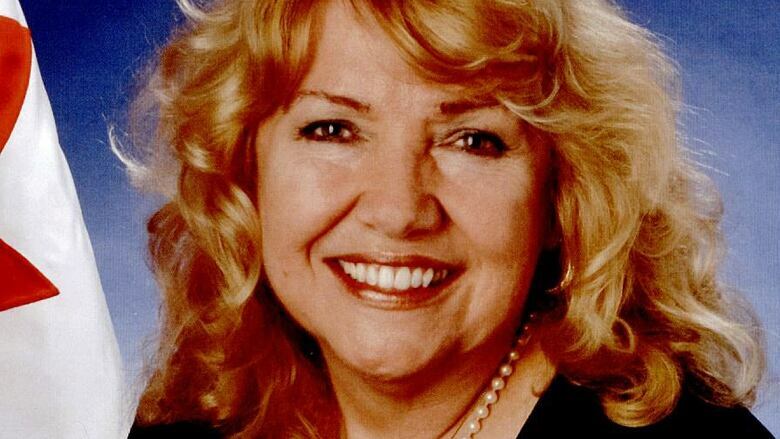 "Senator Beyak's comments don't reflect the views of the Conservative caucus in the Senate," said Patterson in a statement Friday. Sen. Lynn Beyak has been a source of controversy since she made comments defending aspects of the Indian residential school system. Beyak made headlines in the spring after CBC News first reported her defence of the Indian residential school system in the Senate. Patterson admits, like Beyak, he is concerned about the Liberal government's recent move to split Indigenous and Northern Affairs Canada into two separate departments, adding that he's skeptical about the added layer of bureaucracy he fears the split could create. "However, I want to make it clear that I know full-well the negative and legacy impacts that residential schools have had on Inuit," he said. As for trading in status cards — or, as Patterson says, in the case of Inuit, beneficiary cards — Patterson points to a quote by the late Jose Kusugak, longtime defender of Inuit rights, language and culture. Kusugak described Inuit as "First Canadians, Canadians First." Patterson says Inuit have always been known as loyal Canadian citizens. "I respect and celebrate Inuit culture and the diversity that makes Canada so unique," he said.